Embracing the new while still honouring the old is no easy undertaking. 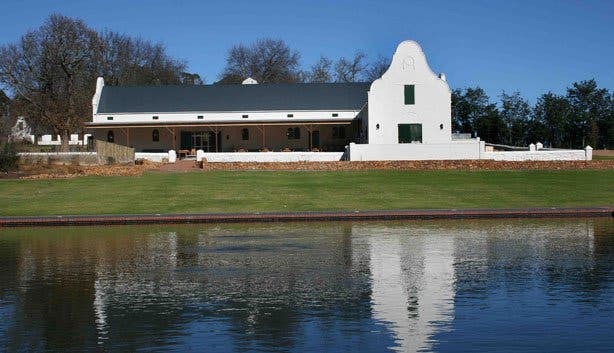 And yet it’s clear from the moment I set foot on the vineyard-dotted Dornier estate that this family-owned Stellenbosch spot masters this effortlessly. “Here, we combine 18th century, 20th century and 21st century architecture,” says Managing Director Raphael Dornier proudly, as he ushers us through a fragrant fynbos garden – alive with colour, scents and sounds – that lines the front of the on-site eatery. 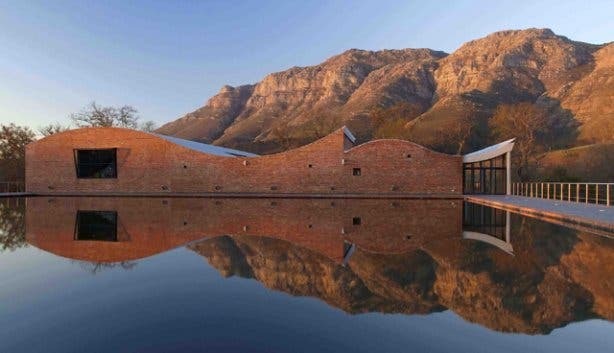 Housed in a historic Cape Dutch-style barn, Dornier Bodega restaurant, the 18th century instance, stands in stark contrast to the winery’s uber-modern cellar, an award-winning legacy left by the original founder, gifted artist and father of Raphael, Christoph. But despite such striking disparity, the farm still manages to exude an overwhelming sense of harmony, a balance that’s also embodied by the eatery itself. And while the property as a whole is enthralling, it’s this fine culinary destination that’s drawn my partner and me out of the office and into the Cape Winelands today. Though, we soon discover that, like the land it lies on, Dornier Bodega, which was added in 2007 to complement the wines, is rich with interesting combinations too. It marries dramatic mountain views with pastoral charm, couples a colourful, quirky interior with a serene alfresco terrace, blends African-inspired elements – woven kikoy placemats and cushions on the outdoor tables and chairs – with those of Mediterranean and Eastern origin, and pairs fresh fare with premium reds and whites. Most importantly though, the restaurant seamlessly fuses a respect for the age-old with an eagerness to innovate, just as the overall estate does. In essence, he and his team dream up fresh, seasonal fare that’s at once creative and conventional, unique but recognisable, exceptional in quality but strikingly simple. It’s farm cuisine: uncomplicated, honest grub from the earth that is refined in presentation but straightforward in preparation and that doesn’t confuse customers with fancy foams and frills. “It’s like when you go to an Italian home and the mama cooks very well, but it’s not complex,” asserts Raphael, sitting down with us on the sun-drenched stone patio and tucking into a healthy slice of homemade bread. 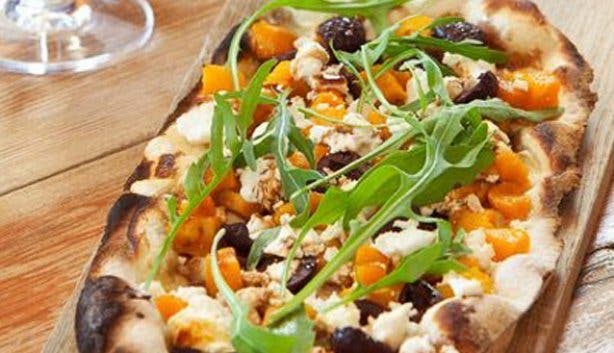 The Roasted Butternut, Feta and Olive Flammkuchen (thin-based Alsatian pizza) starter that my partner and I opt to share is an artful example. Generously sized for an appetizer, it bursts with well-balanced flavour that rests on only a few basic elements – all locally sourced and as fresh as they come – but boasts no airs and graces. 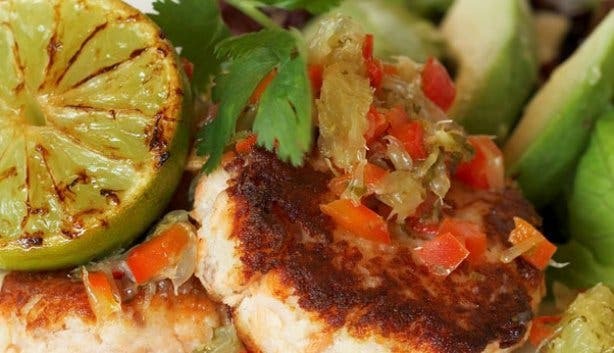 On the well-versed waiter’s recommendation, I pair the timeless dish with a glass of Donatus White, an elegant blend of Chenin Blanc and Sémillon. 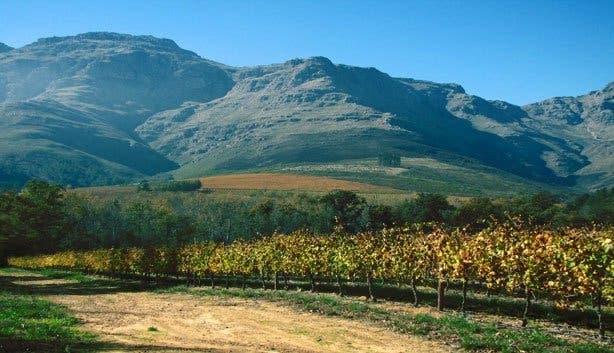 The match is heavenly, not surprising considering that each and every menu item has been crafted with specific Dornier wines in mind (the award-winning range can be sampled right at the restaurant tables, and food and wine pairings can be pre-arranged). While this traditional topped flatbread was one of the easy-going eatery’s very first offerings, today the focus has shifted to well-priced, fresh seafood – definitely not a norm in the Winelands. The lemon butter-bathed dorado arrives flanked by a zesty prawn langoustine ceviche salsa that cuts through the divine flavour of the fish, and accompanied by a portion of nasi goreng fried rice that infuses the meal with the exotic tastes of Asia. The whole dish is simple but sublime. Full, we attempt to decline dessert, only to find that the restaurant’s Bodega Chocolate Brownie simply won’t permit a refusal. Made from Swiss brand Felchlin’s rich, dark chocolate (fitting considering that Raphael grew up in Switzerland), the spongy square of decadence comes with homemade salted caramel sauce, crunchy caramelised popcorn and creamy popcorn ice cream. 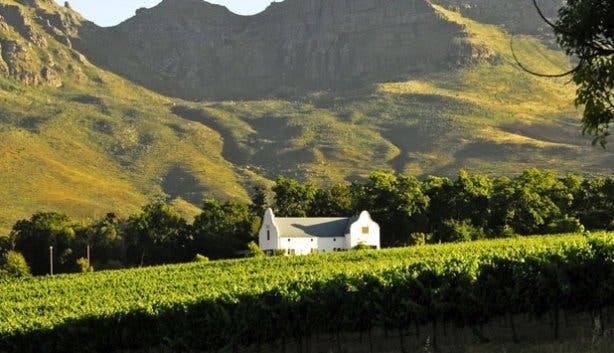 As yet another example of innovation at Dornier Bodega, this novel delight is reason alone to visit the estate – never mind the spectacular scenery, classic wines and easy, unhurried atmosphere. Though we’re tempted to stay for sunset tapas (not because we’re still hungry; this is simply a place that invites lingering), the office and bustling CBD await. So, it’s with great reluctance that we stroll out through the indigenous garden and roll down the dusty path that leaves the farm, rather taken with this special spot that somehow succeeds at both gazing forward and glancing back. 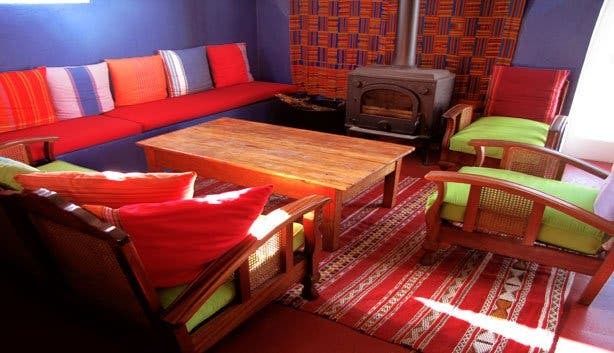 Tip: The eatery’s extravagant interior, which boasts a bold colour palette, kente cloths on the walls and a prominent painting by the late Christoph Dornier, also claims two fireplaces; hence, it’s as ideal a spot for a cosy winter lunch as it is for a sunny summer snack. 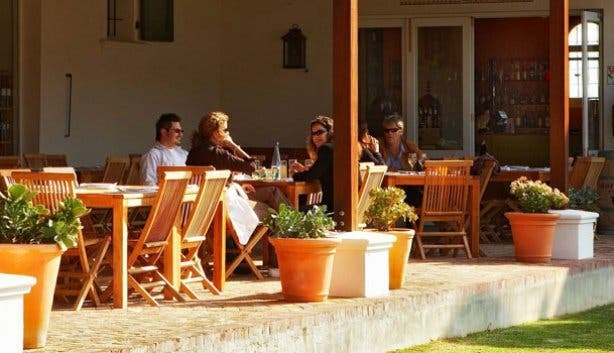 The Bill: Despite its emphasis on simplicity, Dornier Bodega restaurant is no cheap farm kitchen; however, prices are highly reasonable for the quality and integrity of the food served. 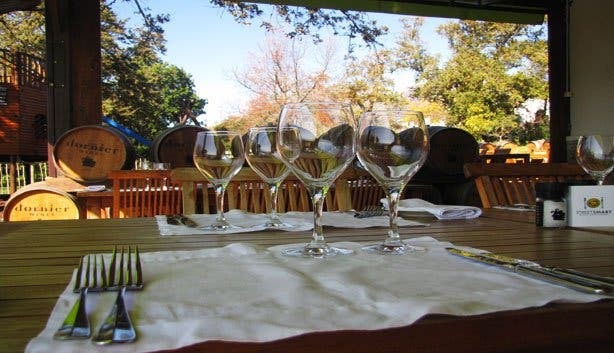 The eatery focuses mainly on two- or three-course selections; two courses will set you back R190 and three courses R255. 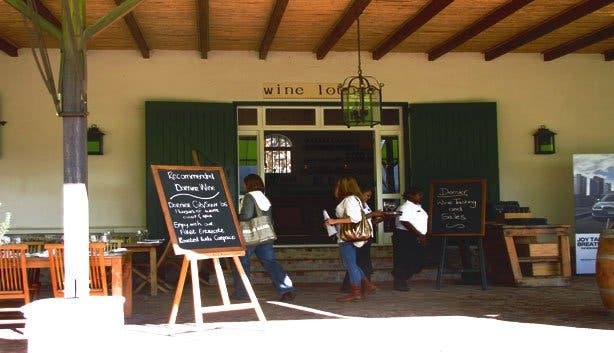 Planning on visiting the Winelands for more than just lunch? 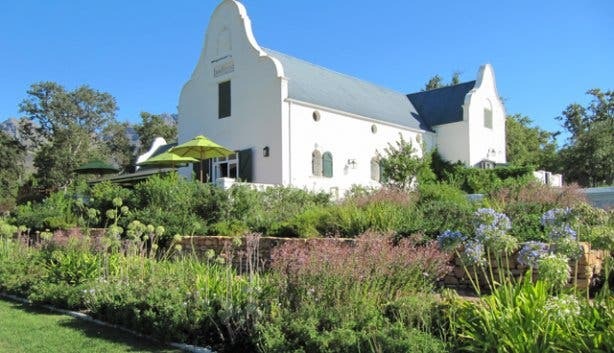 Have a gander at our overview of accommodation in Stellenbosch.